Missing multiple teeth a blight on your smile and your meals? Implant supported bridges offer a solution superior in aesthetics, comfort and function. For multiple missing teeth, implant supported bridges can replace 3 or 4 teeth in a row with only 2 implants, though more may be needed depending on the situation. Unlike conventional bridges, which have to be fixed to teeth surrounding the gap (damaging them), implant supported bridges are anchored to dental implants. Made of titanium, these implants are placed into your jawbone, acting as a new tooth root for your new teeth. This offers a much more stable alternative to conventional bridgework and partial dentures that doesn’t interfere with the surrounding teeth – as comfortable as teeth of your own! Your new teeth (bridges) will be anchored seamlessly into your jawbone via titanium implants. Since your teeth are replaced from the tip to the root, they will feel just like your natural teeth. After a period of getting used to them, you won’t even notice they’re there! And you definitely won’t be removing them at night. Implant supported bridges are the best way to replace multiple missing teeth. Here your new teeth (the bridge) is placed and fixed upon dental implants, instead of clipping onto surrounding teeth like a partial denture, making implant supported bridges much more comfortable. Sculpted to your individual needs, dental implants look and feel natural. Replacing your missing front teeth they complete your smile, dramatically improving aesthetics – share yourself with others without refrain! If your missing teeth cause difficulty when eating, implant supported bridges provide the solutions. Unlike traditional alternatives like partial dentures, the new titanium tooth roots provided by the implants are very strong and stable, allowing you to eat normally – enjoy the feeling of biting into your meals once again! Like natural teeth, dental implants will stimulate your jawbone. This avoids the facial bone loss associated with missing teeth and dentures – and the ‘sunken’ look that goes with it. The result is a more youthful, fuller face. With proper care, dental implants are the permanent solution to missing teeth because they integrate with the bone. Alternatives such as traditional bridges and dentures are not nearly as stable will need to be replaced after less than 10 years, and cost more to maintain. Also implants help distribute force over your remaining teeth, lengthening their lifespan, whereas traditional bridgework requires damaging adjacent teeth. The 5 stage process for implant supported bridges is outlined below. More on the implant procedure. 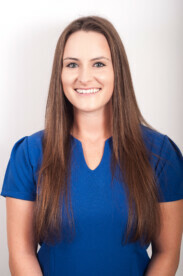 Come in for a friendly chat and examination with one of our implant dentists. Here we plan for successful implant treatment by modelling with impressions, CT scanning, X-rays and other sources of information. The titanium implants are placed below the gum using a simple 5 minute technique, which is easy and comfortable. The teeth implants are left for 12-14 weeks to integrate with the bone (known as osseointegration) and become strong and stable. You’ll wear temporary teeth during this period. The final bridgework is completed and placed onto the implants. Replacing multiple teeth with implant supported bridges costs from £4720-20650 depending on how many implants are placed and the materials used. During your free consultation, all options will be laid out before you according to your individual needs. Spread the cost over up to 2 years interest free with our 0% APR finance. There’s no hidden costs. Please ask for details. Phil Tangri is one of the top users of Biomet 3i dental implants in the UK – one of the top implant systems in the United States. Biomet 3i implants have a microtextured surface documented by 15 years of research – providing for enhanced tissue preservation and bone integration. Phil also reqularly attends courses to learn the latest techniques in implant dentistry. This ensures that you’ll get the highest quality work. We also offer the new Straumann SLA Active BLT implant in addition to Biomet 3i. This Straumann implant is currently the best implant on the market – its cutting edge design offering much better initial stability. Implant supported bridges offer a superior solution to multiple missing teeth. To find out more about implant supported bridges in Birmingham call us or book an appointment online.